The rates below include 2 people for 2 nights, hire of all glamping gear, delivery within our service range and our labour in pitching, styling, packing down, cleaning and linen washing. One night stays: See our FAQs page for more information. Security Bond: A security bond of $100/tent is required to lock in your hire. This is separate to the hire fee and is fully refundable within 7 days providing all goods are returned in original hire condition. 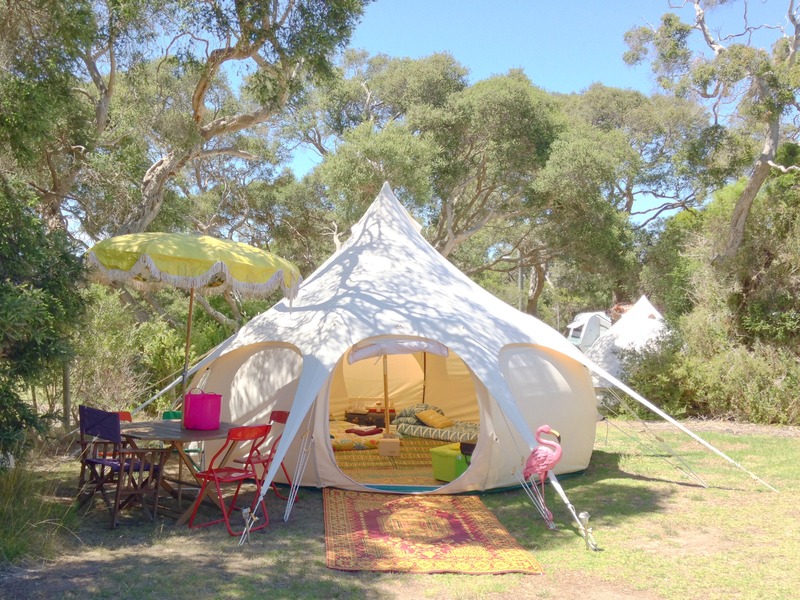 Campsite Fees: Our rates do not include your campsite fees, except for the Balnarring Deluxe. Please contact your preferred campground for the site fees. Rates are current as of 24 November 2016 and may be subject to change at any time without notice. An exclusive offering only available at Balnarring Foreshore Reserve. Camping fees are included in the price and all bookings are taken care of by us. The tent, located on an elevated wooden platform, features premium bedding, bed base and additional furnishings. The offering includes a bar fridge, fine glassware, tea and coffee facilities and a heater in the cooler months. Rate includes a queen bed. Two single beds can be added as additions. Sleeps up to 4 people, although 2 people is recommended. Ideal for couples! The site situated within a magnificent coast banksia woodland is minutes from the beach and Tulum General Store. Thinking about a mid week getaway? You can book the Balnarring Deluxe for single nights from Monday through to Thursday night. 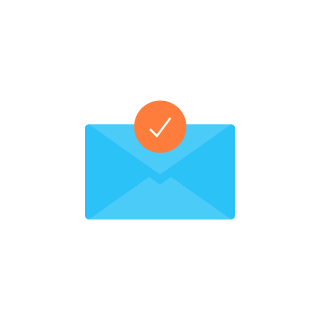 Please email us directly for your booking. The Balnarring Deluxe is available from 1 September through to Queens Birthday long weekend each year, excluding the summer holiday period 26 December to 31 January. 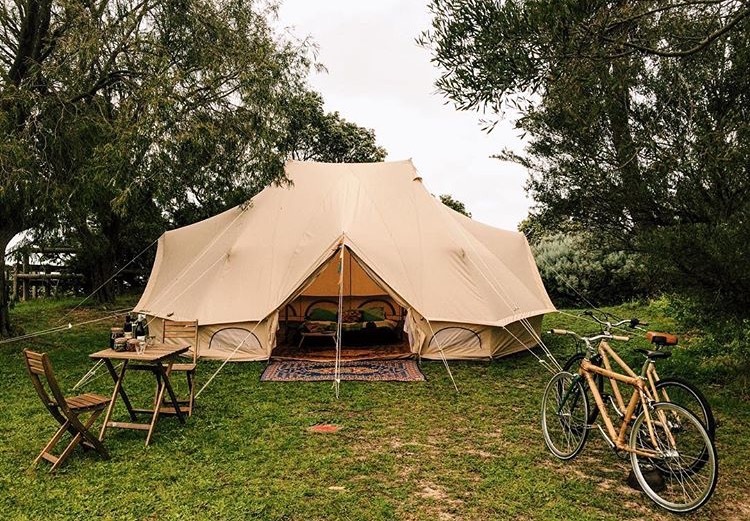 Rate includes bell tent hire, all glamping inclusions, delivery within our service range and our labour in pitching, styling, packing down and removing! Wowsers! Sleeps up to 3 people, although 2 people is recommended. Ideal for couples! Sleeps up to 5 people, although 4 people is recommended. 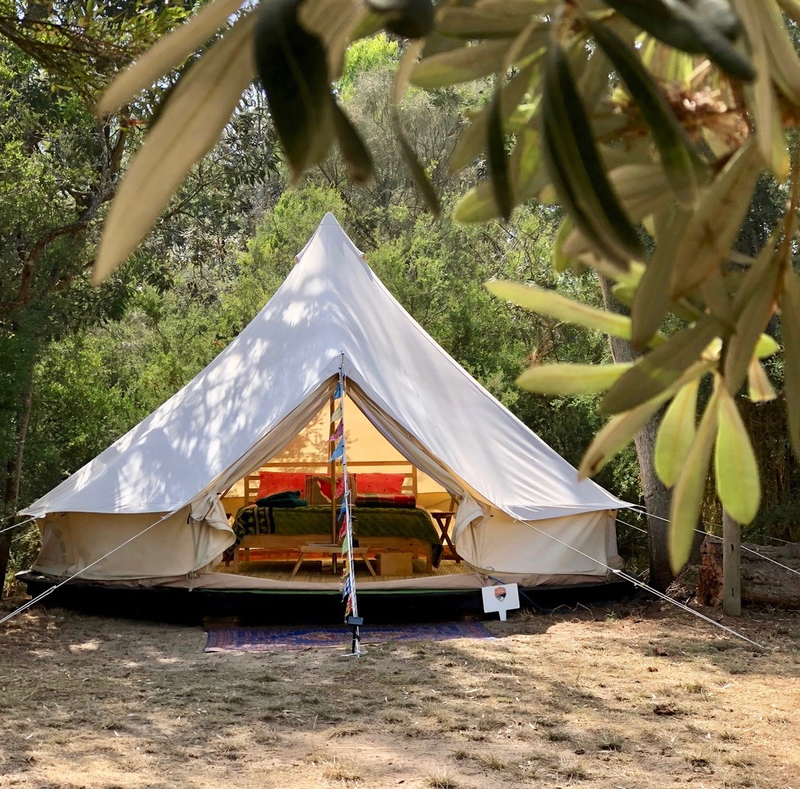 Rate includes Emperor bell tent hire, all glamping inclusions, delivery within our service range and our labour in pitching, styling, packing down and removing! Wowsers! Rate includes Lotus Belle hire, all glamping inclusions, delivery within our service range and our labour in pitching, styling, packing down and removing! Wowsers! Sleeps up to 5 people, although 2-4 people is recommended. Add more people to your glamping experience for $50 per person! We can provide an extra Queen for $100 or single beds for $50 per person. This cost also includes an extra chair, extra mug and tea/coffee (if you have booked the bar fridge option) and extra cutlery, plate, bowl, etc (if you have booked the Picnic Kit). Additional sets of linen can also be provided for longer stays for $50 per person. NOTE: For group bookings King-Single stretcher beds with self-inflating mattresses, bedding, etc are offered. Due to the size of these stretcher beds (they’re big and comfy!) 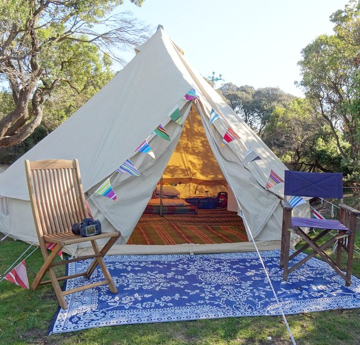 our 4m bell tents fit a maximum of 2 people, our 5m bell tents fit a maximum of 4 people. Click here for a photo example of stretcher beds. Enhance your glamping experience by including a bar fridge, kettle, tea bags, coffee bags, sugar, teaspoons and two mugs. You’ll be able to store your drinks and food in the bar fridge – great for wine and midnight snacks!! This is an optional extra for bell tents only (caravans already have this option included). 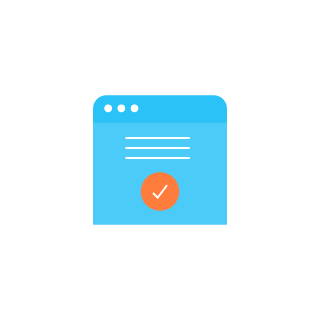 Note: You will need a powered site. 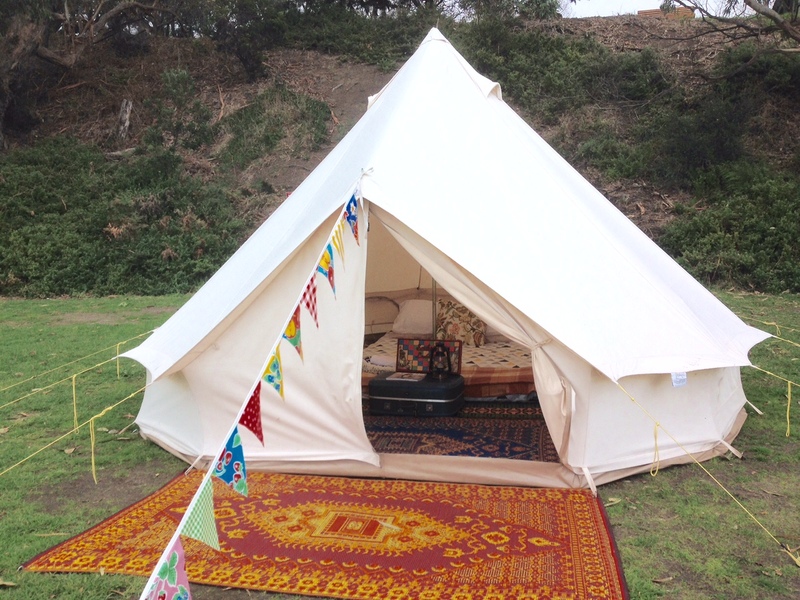 This option is subject to availability, please enquire if you are booking a bell tent at short notice. Note: This option is subject to availability. Indulge in cool season glamping and add your very own fire pit to experience the delights campfire season. Campfires are subject to Foreshore Campground guidelines and are only offered at Point Leo and Shoreham Foreshore Campgrounds. * Rates apply to the recommended campgrounds. Please enquire for a quote to stay elsewhere. We do not offer setups or pack-downs on public holidays, 24 – 26 December and 31 December – 1 January. We can still get you glamping over those dates by setting up before and after. ** We offer our glamping hire for free on Sunday night when you book Friday and Saturday nights! This deal is not applicable to public holiday long weekends e.g. Australia Day long weekend, Labour Day long weekend, Easter. Fill out our booking request form to tentatively book your glamping experience. No payment is required at this stage. 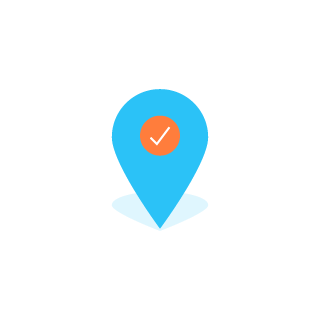 We’ll check availability and approve your booking request within 24 hours. Once approved, you will need to book your camping site separately. Here are the campgrounds we recommend.